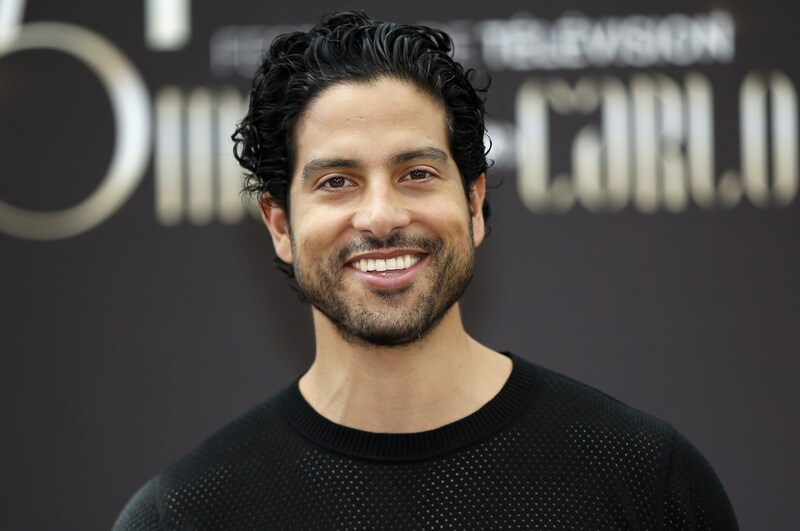 There's honestly no sophisticated way to react to this news, so prepare to swoon, squeal, and OMG your day away (all at once, probably) because The Wrap reports that Adam Rodriguez will be a guest star on Empire 's second season. As tempting as it is to do backflips of celebration right now, reserve your acrobatic efforts for this next bit of info: Rodriguez will play the role of Laz Delgado, a concert promoter and potential love interest for Cookie Lyon. Now, I'm sure you guys need a minute to get a grip and fully process this amazing news — in the meantime, I'll be in the corner bowing before the TV gods, asking, “What exactly have we done so, so right to deserve yet another huge star landing a role on Empire?” First, Chris Rock signed on for the show, then Lenny Kravitz and Alicia Keys, and now Rodriguez? Sigh. We are not worthy. Wait a second — actually, Empire fans are totally worthy. After all, viewers are responsible for the show's record-shattering ratings, which secured it a second season before the third episode of Season 1 even aired. Now the real question is, can Rodriguez’s character handle Cookie's fabulousness? After all, it's palpable. Good news: based on Rodriguez’s past roles, I’d say he has a good chance of giving as good as he gets should he become romantically entangled in Cookie’s vicious web. For the upcoming sequel to 2012's Magic Mike , Rodriguez reprises his role of Tito, a male stripper who performed for a crowd of overzealous, aggressive women — not much unlike Cookie. I'd say this was great preparation for his Empire role. In this 2009 Tyler Perry film, Rodriguez played a compassionate immigrant who earns his room and board as a repairman for Taraji P. Henson's character April. They eventually develop a relationship and marry, but not before Sandino goes through some major drama to earn April's trust. This is a good start to prep him for dealing with Cookie — plus, you know, the fact that he's already acted alongside Henson and has proven chemistry with her is definitely a good sign. Delko works in a crime lab, is the son of a Russian mobster and he has experience dealing with powerful women. On The Night Shift, Rodriguez played a trauma surgeon, a character with intelligence, the ability to keep calm in life or death situations, and precision with surgical tools. Yep, I'd say those are all characteristics of a man who dares to love Cookie. On Ugly Betty, Rodriguez portrayed the beau of Hilda Suarez, who, much like Cookie, went above and beyond to protect her family — plus she had an awful temper. Playing Bobby was likely pretty good practice for the drama that's sure to come Rodriguez's way on Empire.